2016 may be coming to a close, but what a great year it was! This year saw the launch of a multitude of new and inspiring products, which caught the eye of many an editor, designer, and follower on social media! As a token of our appreciation, we wanted to thank this wonderful community that we have built. 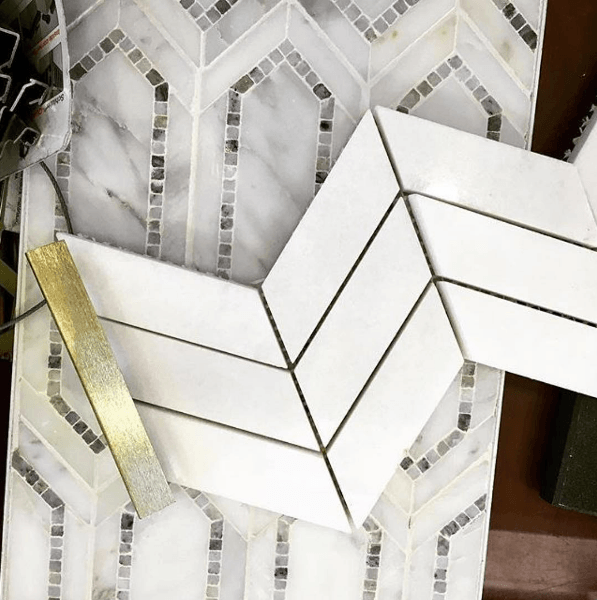 We hope to continue inspiring you through our content, the same way that you all inspire us to create unique luxury tile and stone products. Continue reading to see our top 9 Instagram posts of 2016, and what makes each featured product standout. It’s easy to see why this photo was a fan-favorite. Here, it’s seen featured in the stunning House Beautiful Kitchen of the Year, as designed by Matthew Quinn. 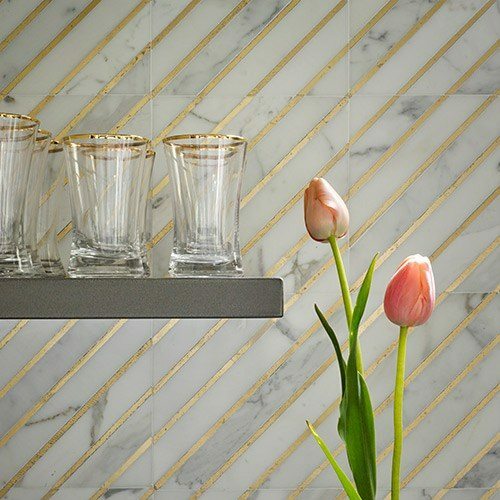 We love the way beams of gold dance across crisp Calacatta marble; bringing light to this kitchen backsplash the same way the sun streams down through the clouds on a gray day. We think this would illuminate just about any space in a unique way, as switching the direction of the tiles can change the pattern. Fabric patterns also saw a lot of love this year in the design world. As seen here, mosaic proves the ideal medium for which to add the richness of old-world textiles to spaces. 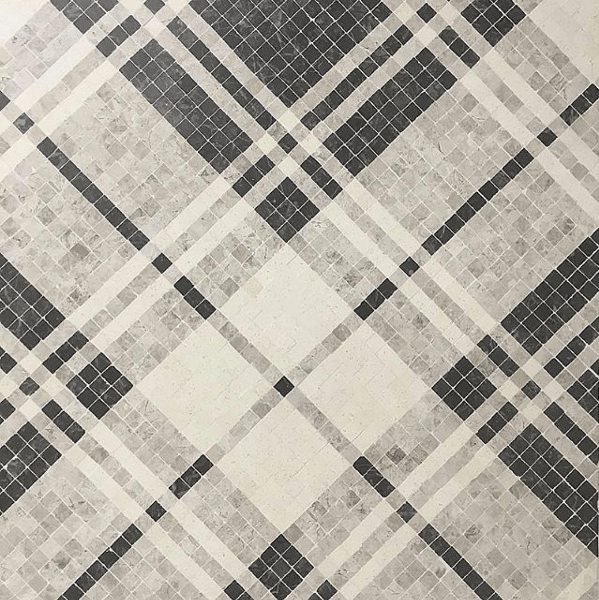 The traditional tartan look of Balmoral Plaid would surely give spaces a cozy feel. Gray is the new black, and it certainly brings a cool edge to a neutral color palette. Our Turkish Gray Collection pairs beautifully with white stones and also makes a subtle statement on its own. 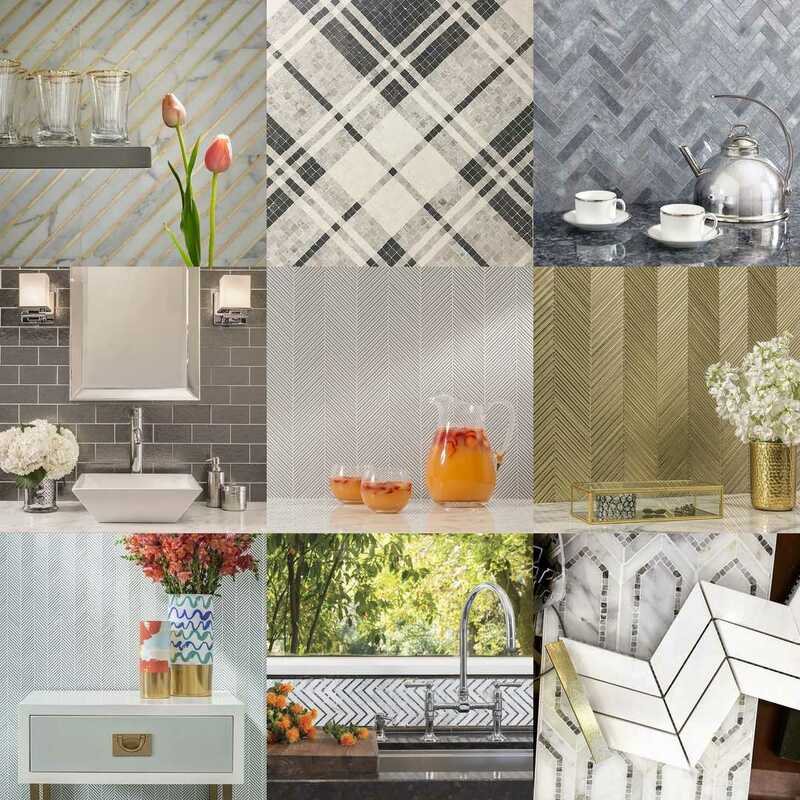 Out of our top 9 posts, 4 of them featured our Textile Glass Collection. The response to the collection has been overwhelming, so much so, that it has quickly become an editor, designer and fan favorite. It was inspired by the warmth of finely woven fabrics, and the shimmery mix of micro glass batons reflect and bounce light to bring spaces an ethereal glow. 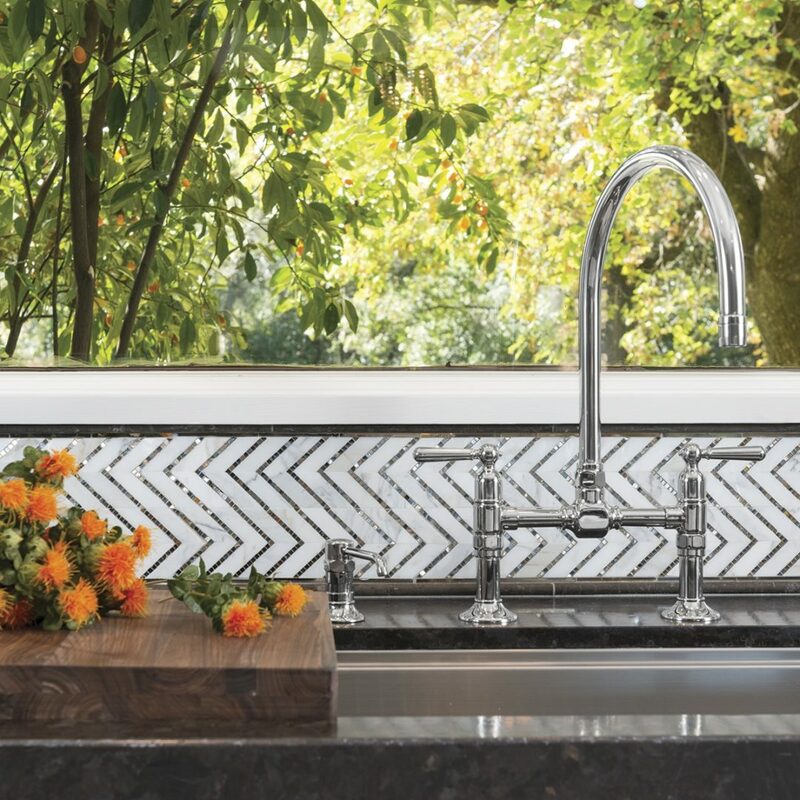 The Allure mosaic certainly makes for an eye-catching kitchen, don’t you think? The best part about this collection is the glamour it will bring to any space it graces. 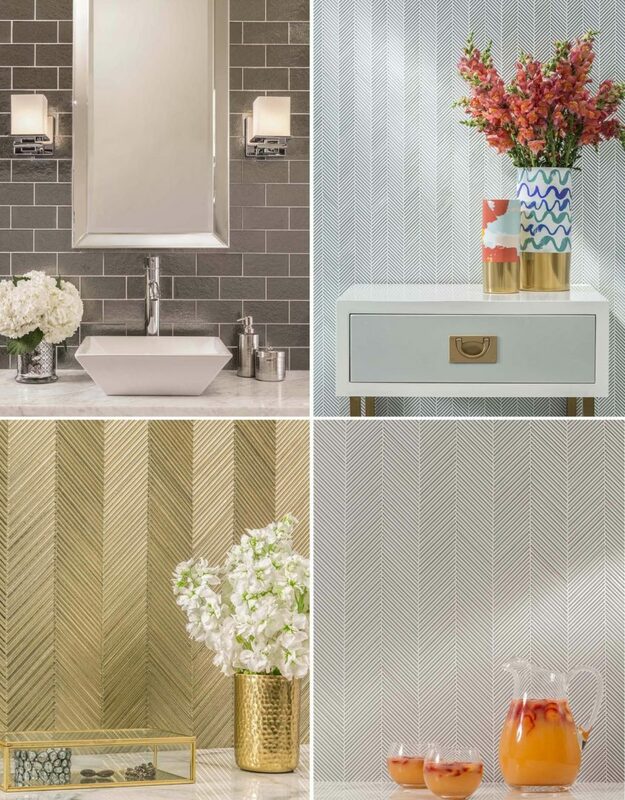 The delicate geometric patterns created by using mirror microchips lend sophisticated sparkle to backsplashes, focal walls and floor details. We spy a trend! 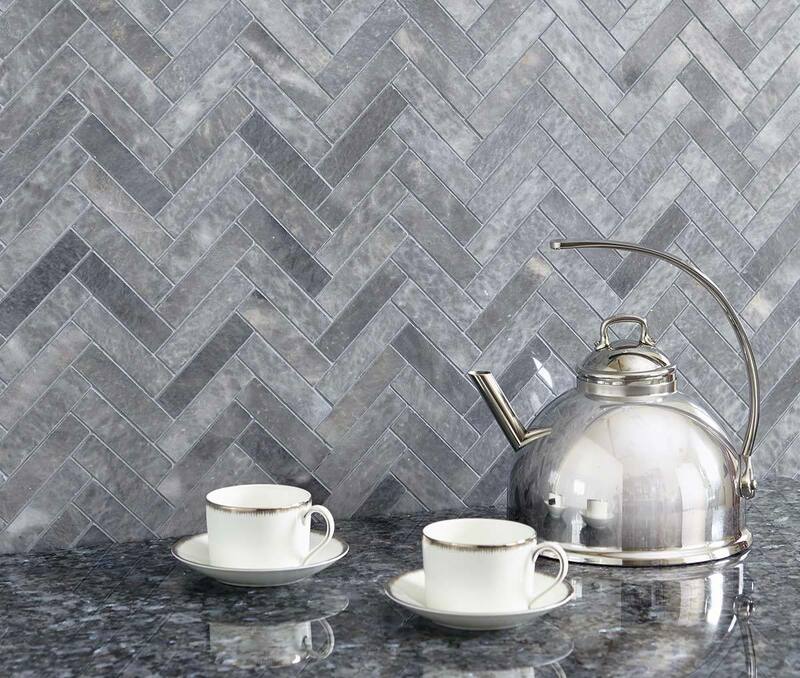 Our Allure mosaic is seen here again, this time in a larger panel format. 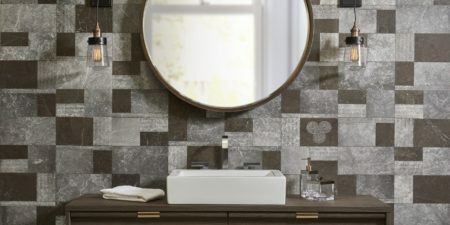 The neutral-by-nature color scheme of this piece is perfect for pairing with a multitude of different materials for a unique, customized design. Which of our collections was your favorite this year?